Still searching for Halloween costumes but haven't found an appropriately disturbing, pop culture-inspired outfit? Then FX has the goods with new American Horror Story threads. 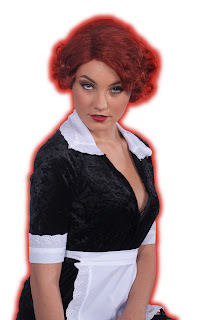 If you really want to get your man's (or woman's) blood pumping this Halloween, pick up the seductive Young Moira maid costume - easily convertible into older, one-eyed Moira if that's your thing. Or better yet guys, squeeze your way into the Rubber Man costume and surprise your gal in the middle of the night (just don't put a demon baby in her). want to know how it feels to be awesome character actor Denis O'Hare? Then rock the Larry Harvey two-face burn mask; it's sure to fire up conversations about the wicked pyro murderer. You can pick up the outfits at Spirit Halloween stores or online at the FX shop. 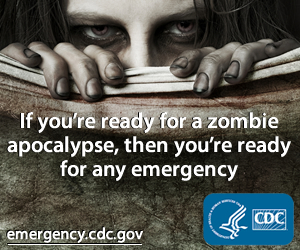 But get them soon; Halloween is scary close.